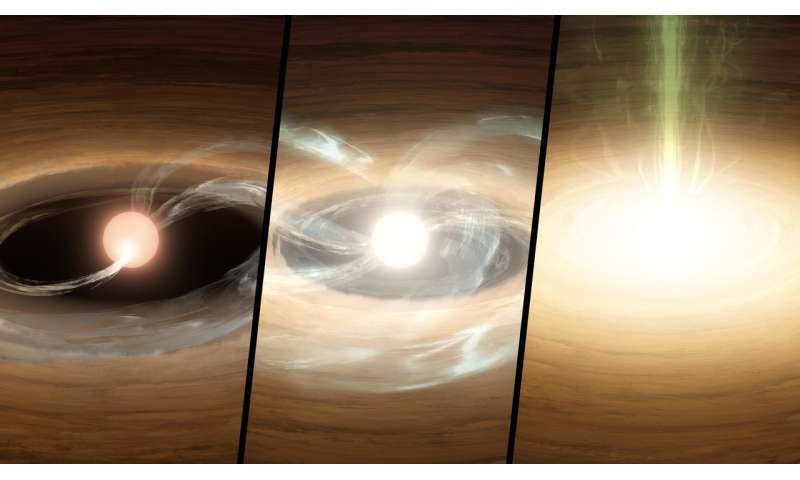 A team of international researchers, including experts from the University of Exeter's Physics and Astronomy department, have observed a rare stellar outburst on a newfound star, called Gaia 17bpi. 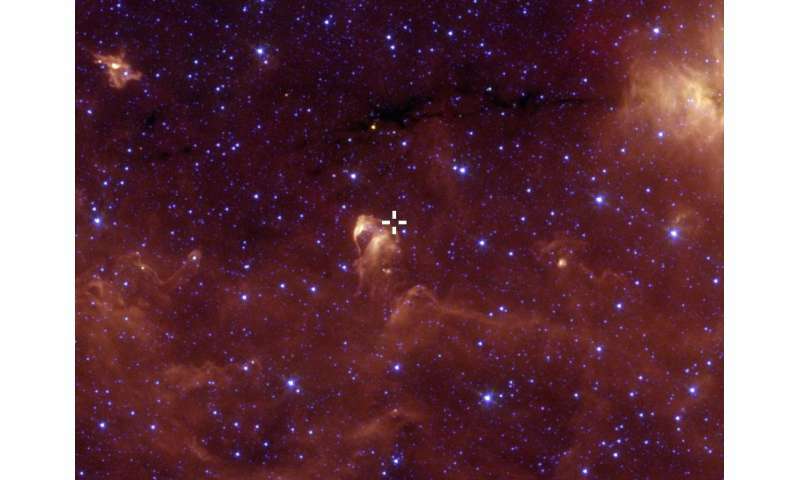 Professor Tim Naylor, from Exeter's Astrophysics group and co-author of the study said: "It's taken a lot of patient waiting and careful sifting of data to uncover this star, but once we realised what was going it has exceeded expectations. "It also gives us insight into events which may have happened as the planets in our own Solar System were beginning to form from a disc of material around the sun." The new study shows, with the most detail yet, how material moves from the midrange of a disk, in a region located around one astronomical unit—the distance between the Earth and the sun—from the star, to the star itself. There's no science to this comment, and probably even less wit, but the brevity cannot be denied. I'm enjoying your c;ever re-scripting. Keep us informed of your soon-to-be ex-friend's response!